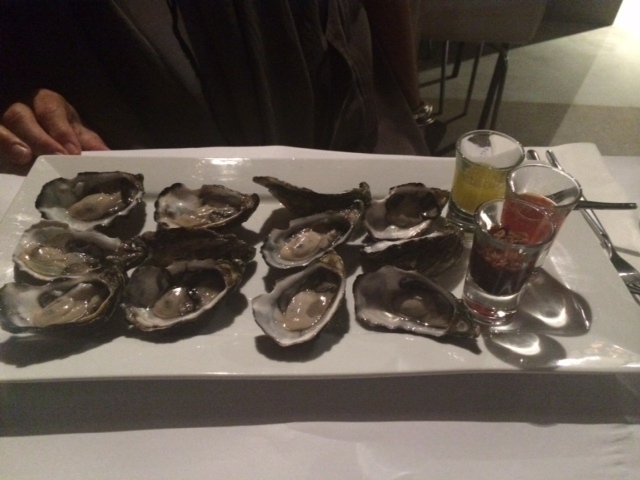 The Dock Seafood & Oyster Bar – serving fresh seafood delights in the heart of Freo! I have always had my favourite restaurants to go to but also love to head out there and try new places from time to time to see what is happening in terms of food and service around Perth. I have also been a long time supporter of the Entertainment Books as they are a great way to support a variety of charities and give you the excuse to try new restaurants with a discount for part of the meal. One of the things that Trevor and I like to do is head out at least once a week for dinner and this week we decided to try something down Fremantle way and I had a desire for some seafood! Searching through the Entertainment book I came across a seafood restaurant that took my fancy because of its menu but also because of its sustainable fishing philosophy and that they head to the markets each day to buy the freshest local seafood that they can. So off to the Dock Seafood & Oyster Bar we went, after first heading into Fremantle and popping into LUNA SX to see The Grand Budapest Hotel – a fabulous film by Wes Anderson and one that I would highly recommend (fun, quirky, stylistic and visually stunning with some great actors)! This is a small intimate restaurant that is family run and from the moment we stepped in we were welcomed and made to feel right at home. It is perfect for a romantic dinner for two or for a group of up to 6 people but going over that I think would spoil the ambience. Located on High St it is central Fremantle and well positioned to pick up the live music from the tapas bar next door which surprisingly did nothing to detract from the restaurant at all. 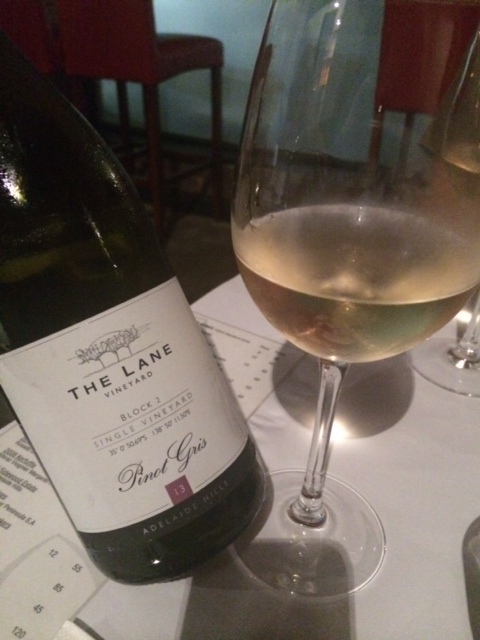 We started with a look at the wine menu and selected a Pinot Gris from The Lane Vineyard in the Adelaide Hills and were not disappointed. This was a crisp fresh Pinot gris with some passionfruit top notes that suited the meal that was to follow. An interesting side note here is that all the wines that are on offer here are not available in bottle shops which adds something special to the meal but I know I would have loved to have bought a few bottles of this Pinot gris so not being able to buy it elsewhere is a bit of a shame…but that does not take anything away from the lovely wine! A crisp light Pinot gris that worked perfectly with our meal – now if I could just find somewhere in Perth that stocks it for sale! Being a seafood and oyster bar we were of course going to begin with oysters as both Trevor and I love them and it was nice to see them only offered as natural oysters by the half or full dozen and either served just with lemon or served with three very distinct and different sauces that you can choose to use or not. Trevor being the purest just had the natural oysters with lemon and I opted for the natural oysters with the three sauces – a Dijon mustard vinaigrette, a light sweet chilli vinaigrette and a Tetsuya onion vinaigrette all of which perfectly complimented the oysters. The oysters were freshly shucked and delicious with that creamy fresh taste that you expect from a good fresh shucked oyster. I enjoyed all the vinaigrettes that were offered but the Tetsuya one was a stand out for me, with crisp onions in a spicy vinaigrette they complimented and added and complexity to the oysters – simply delicious. 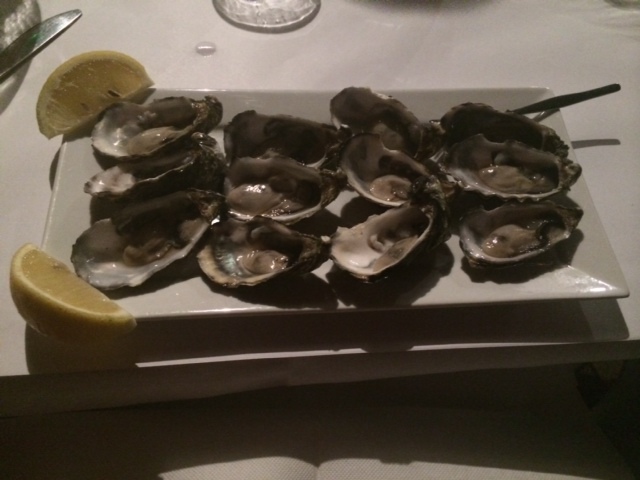 Nothing like a dozen freshly shucked oysters to begin a meal! We both chose different things for our main course with Trevor choosing the grilled Patagonian Toothfish served with a side salad and brown rice from the Prime Catch of the Day menu and I opted for the seafood platter which consisted of more oyster, fresh mussels, grilled prawns, scallops, octopus and slipper lobster served with a stunning piece of fish, hand cut chips and salad. I think the thing that we both loved about this was the freshness of the seafood that was not hidden behind any over the top sauces or coatings that could really have ruined the delight of the freshness that really shone through. The freshest seafood, cooked and served to perfection! 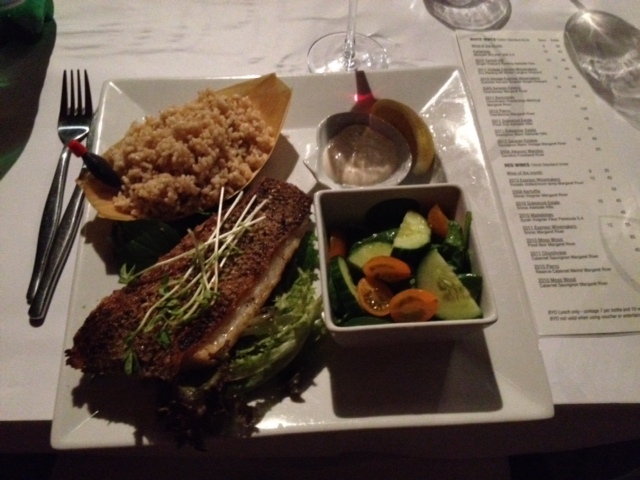 This is a great local seafood restaurant that prides itself in its fresh seafood and does not disappoint on that front. The service was friendly and our waiter was attentive without getting in our face and she was also knowledgeable about the wines that were on the menu and when Trevor wanted a red wine, our waitress suggested a Shiraz that was a nice compliment to his fish. 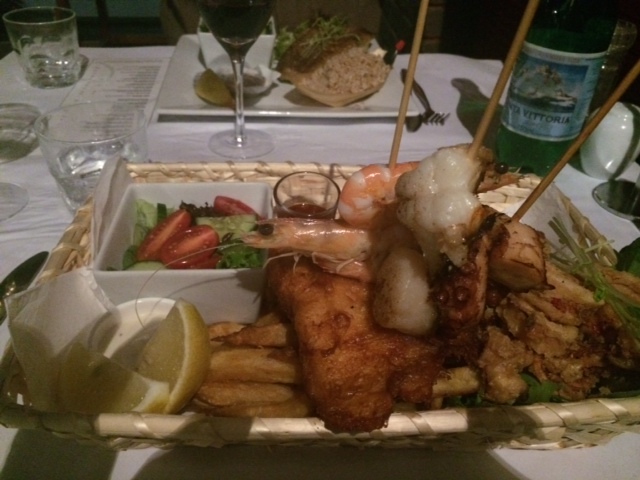 In terms of prices for Perth this restaurant would sit mid range for me but then seafood is always a pricey option and so we knew that going but saying that it was not high-end prices…my seafood platter for example was only $55 which for what was included was worth every penny. So if you are looking for great seafood fresh from the ocean to the table at a restaurant that is concerned about sustainable oceans then this is the one that I would recommend. are caused by high bounce rate. This is very important ranking factor.